I love having creative friends. I can just steal their ideas and it looks like I'm creative myself! 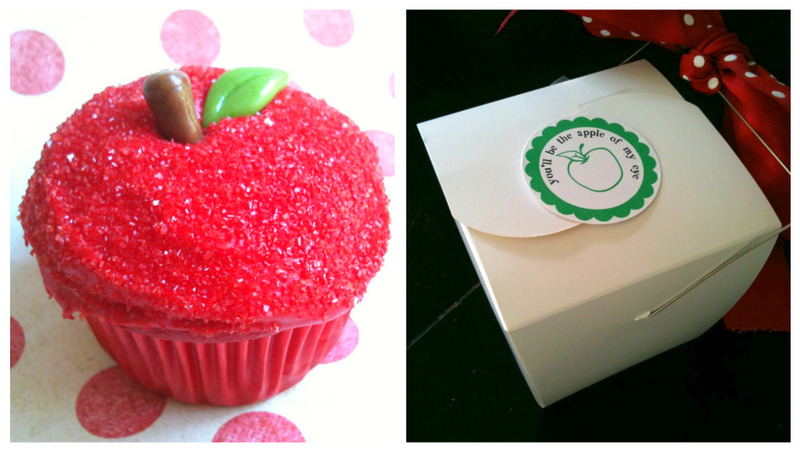 My friend Kelly posted these "Apple of my eye" cupcakes yesterday. They look difficult to make, but actually sound so easy to make. But then again, she always makes difficult things sound easy. "One boxed cake mix, red cupcake liners, red sprinkles, red food coloring infused frosting, a few tootsie rolls." Perfect for back to school. 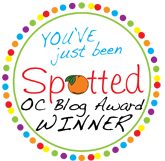 Just a few days left to vote for the You've Just Been Spotted 2010 OC Blog Awards. I've been nominated in TWO categories! 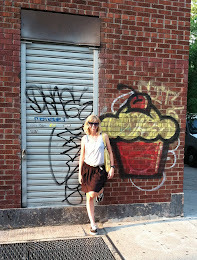 Vote for me in the "Food & Restaurant Blogs" category AND the "Cooking & Baking Blogs" category. Thank you! So cute! An apple a day keeps the dr. away....!!! Okay, those cupcakes are darling!! 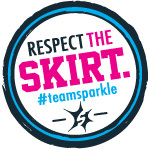 Congrats on your blog nomination. Yay, for you! Those cupcakes are just adorable! They have to make "back to school" a little easier for everyone!